Grab a bite and a cocktail & indulge in the culture of San Francisco. 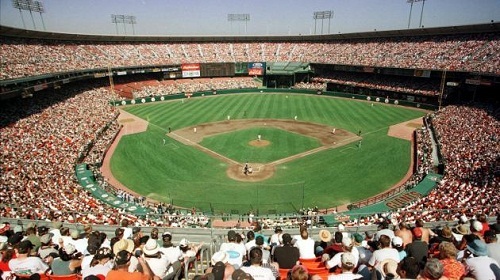 SFGiants: Should the Giants play one last game in Candlestick? Don’t get me wrong, I LOVE AT&T Park. It’s my cathedral. It has to be arguably the best place to watch a ball-game. Forget Disneyland, AT&T Park is the “Happiest place on Earth”. Being that the days of Candlestick’s are now numbered, wouldn’t it be sweet if old-time Giants fans, new-generation Giants fans and even 49ers fans, got the chance to watch our beloved San Francisco Giants, play one time in the legendary, Candlestick Park, the original home of the Black & Orange (Seals Stadium doesn’t count in my book), before it gets demolished? Thanks for the love! Great blog!